Liam Anderson, Chef de Partie at Freemasons at Wiswell, has secured himself a place in the final of the North West Young Chef of the Year Competition. The eager chef cooked his way to success at the Lancashire heats on Wednesday 9th March at Preston College. The competition, sponsored by Essential Cuisine and CHR, was hot as Liam battled it out against two other confident and talented young chefs; Rachel Pinder from the Assheton Arms and Thomas Kiely from The Palazzo in Burnley. All three chefs prepared a three course meal for two people featuring local and seasonal produce and were ready and raring to explain to the judges their individual method and costings. Liam’s starter consisted of risotto of Spring Wood wild garlic and pearl barley, Nidderdale lamb sweetbread, broth of pickled onions and English parmesan. He followed his starter with a main course of Regs corn-fed chicken, new season Wyre Valley asparagus, charred leek and miso, yakitori livers on toast and a sauce of morels. Finally, Liam finished his winning menu with a Tomlinson’s rhubarb and custard soufflé and cardamom ice cream. The Lancashire Young Chef of the Year had previously entered the competition, however he failed to reach the final as his food was good but the judges felt he needed further experience. As soon as this years competition came around Liam wasted no time in applying, feeling he was now far more confident and ready to take the Lancashire heats by storm. 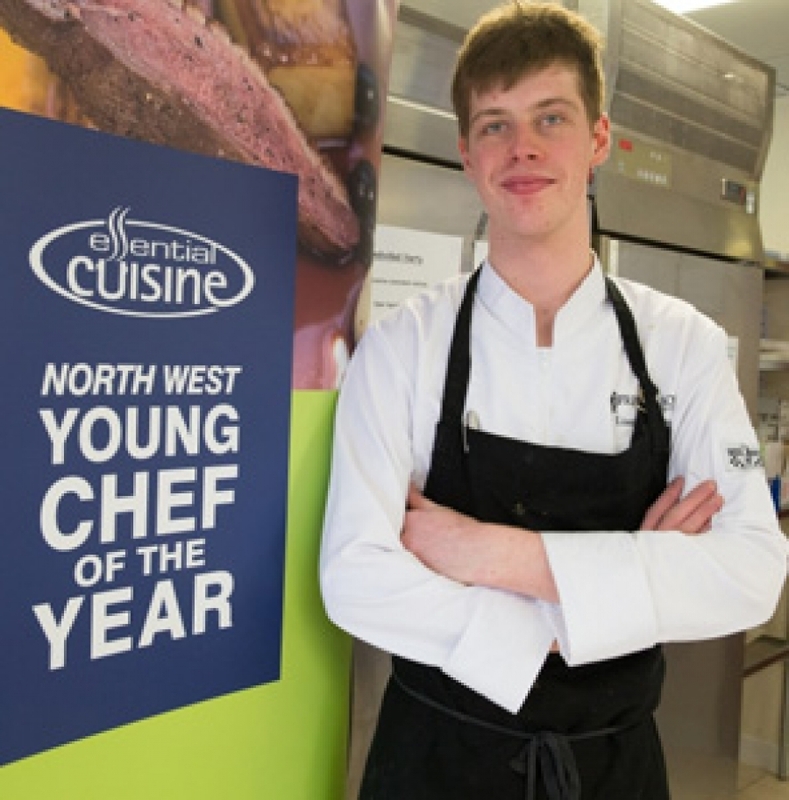 Liam will now go on to attend a master class with an acclaimed chef to hone skills with the industry’s best, before going on to compete against the other regional winners in the final of North West Young Chef Competition, which will be held at Manchester College on 10th May 2016.